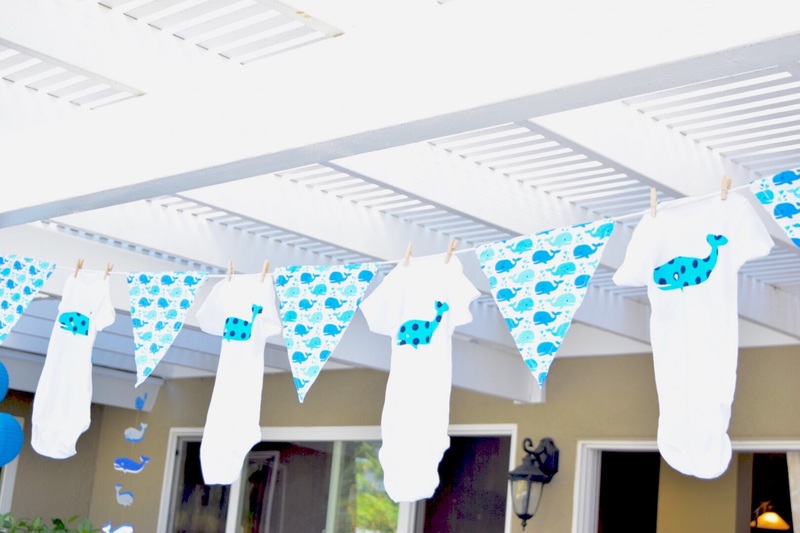 A Baby, Whales and Fun! – T.W.O. 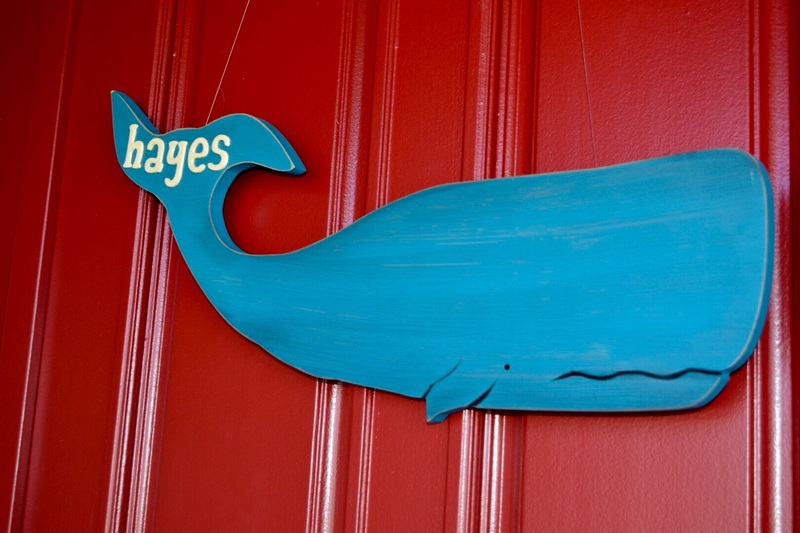 A Baby, Whales and Fun! Published on March 18, 2015 March 18, 2015 by T.W.O. Last December, T.W.O. 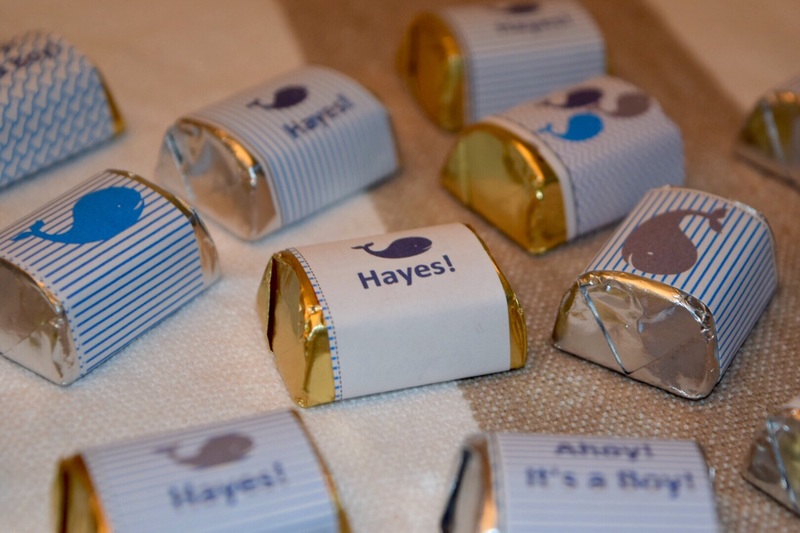 officially became aunties to a handsome boy – Hayes! He was the best Christmas present under the Christmas Tree! 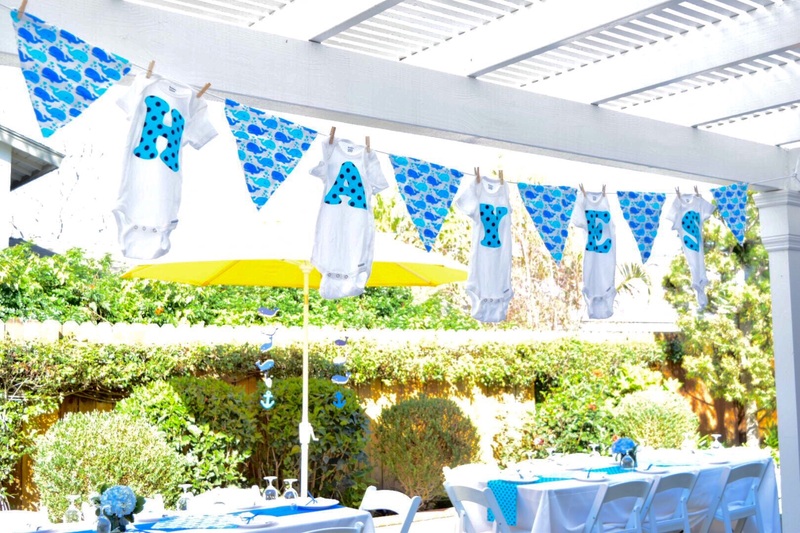 To officially welcome him into the world, we planned a baby shower to honor him surrounded by family and friends. 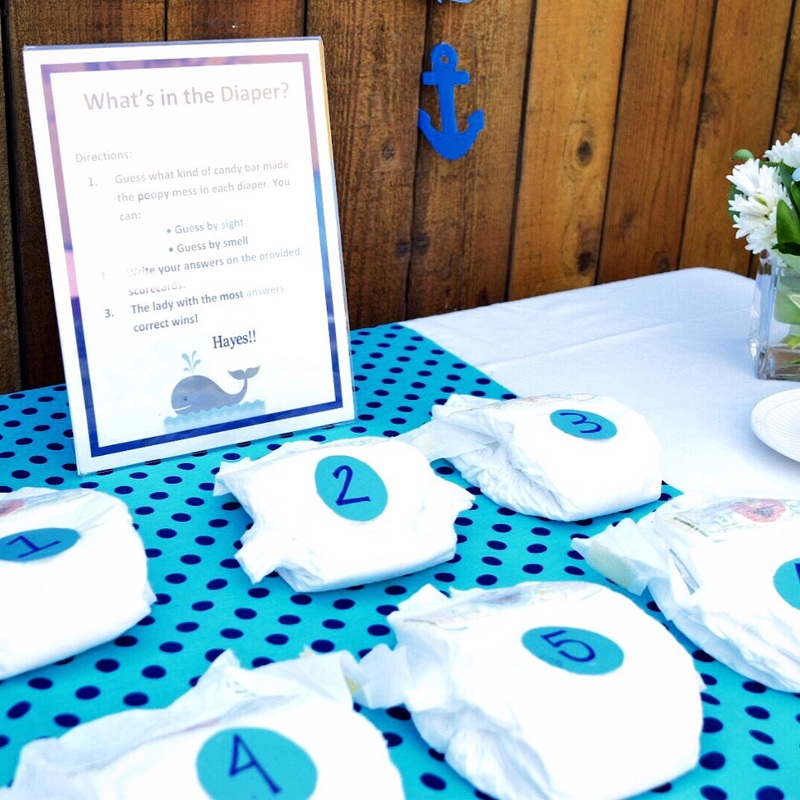 Being a beach family, we loved the idea of a Whale Theme Baby Shower…Ahoy It’s A Boy!! 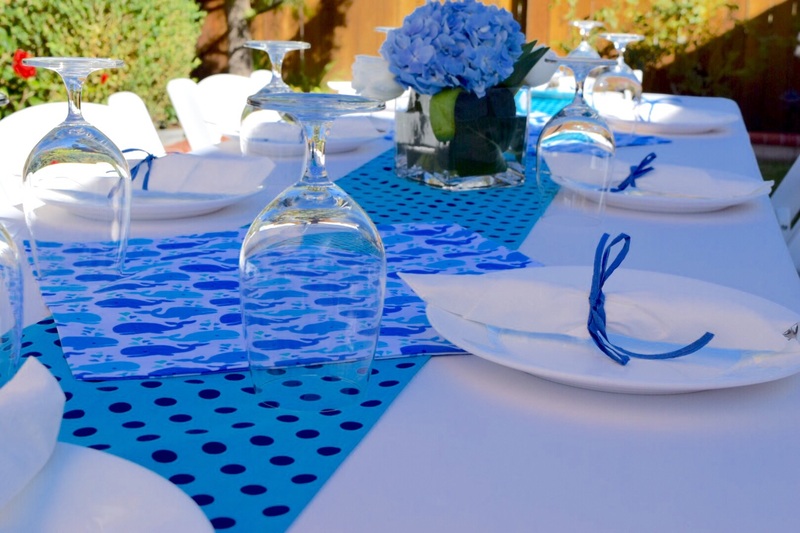 Our color palette was shades of blue – navy, turquoise and light blue. 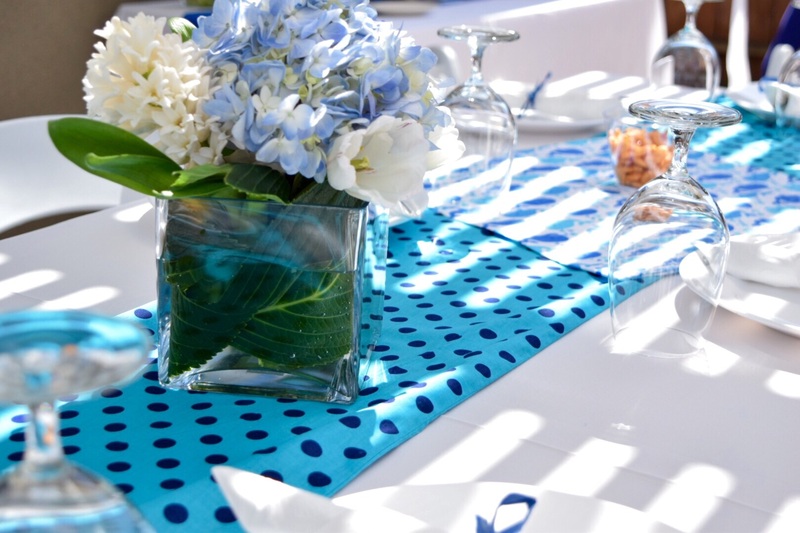 We used polka dots and solids to offset the whale material we purchased on Fabric.com. 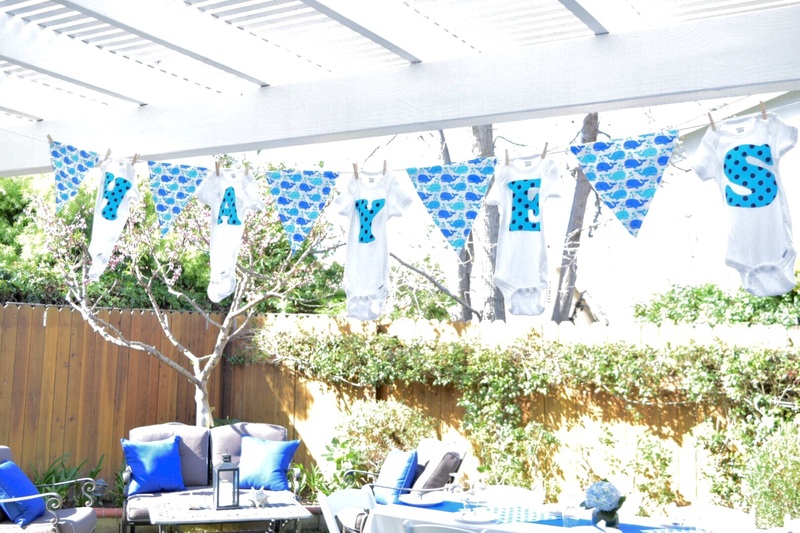 We made custom flag banners with personalized onesies, table runners and square center pieces. 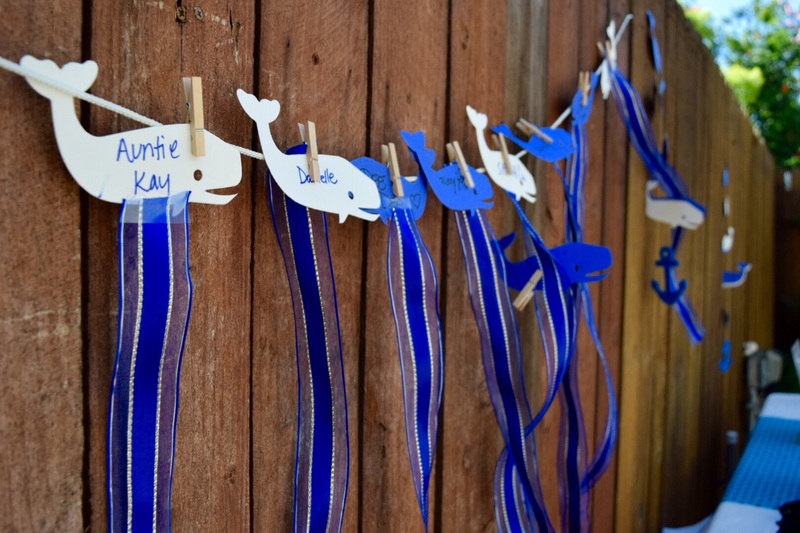 Whale mobiles hung from the umbrellas, along with blue lantern balls. 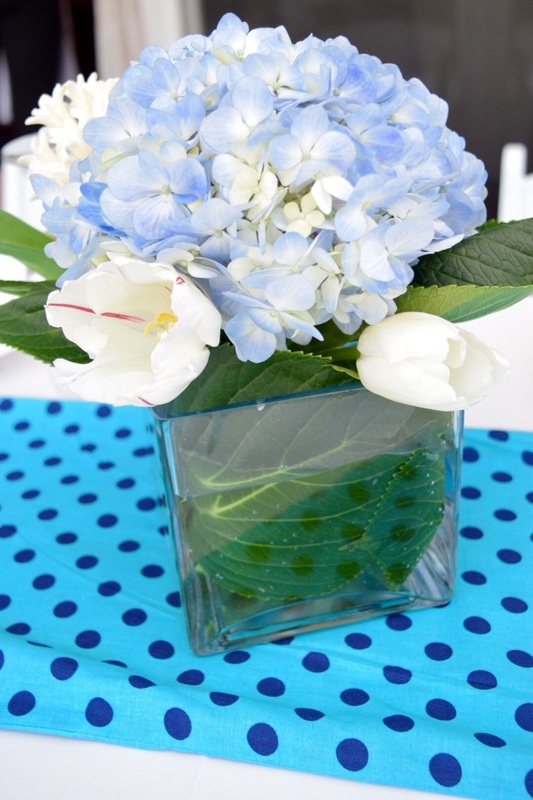 Simple hydrangea flower arrangements were placed on each table along with small bowls of gold fish. Below are images of the day – hope you enjoy it as much as we did! 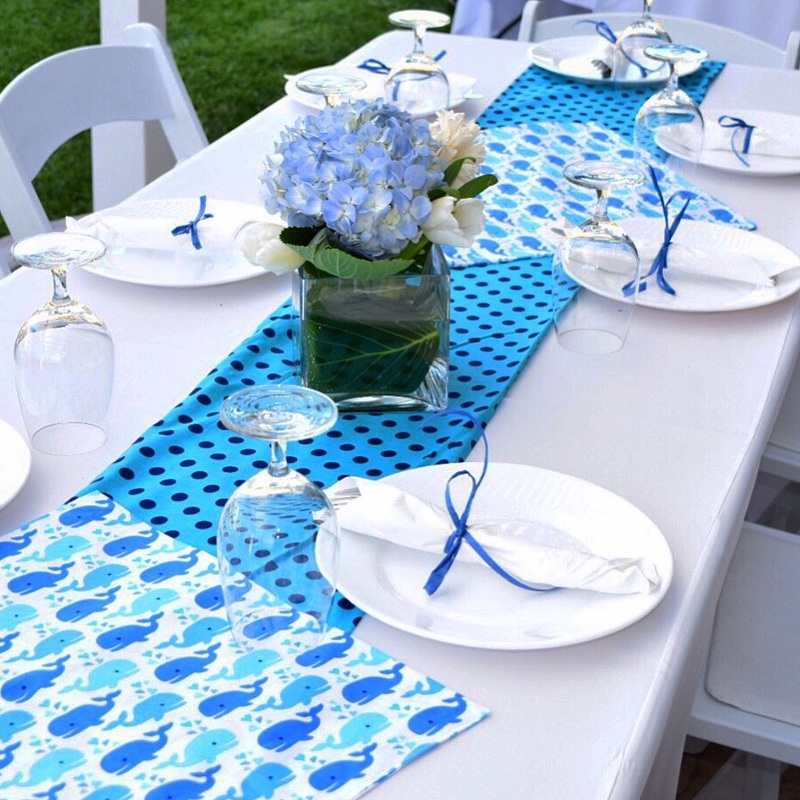 A Big Thank you to Baker Party Rentals who were fantastic to work with! 1. How Long Is Hayes? 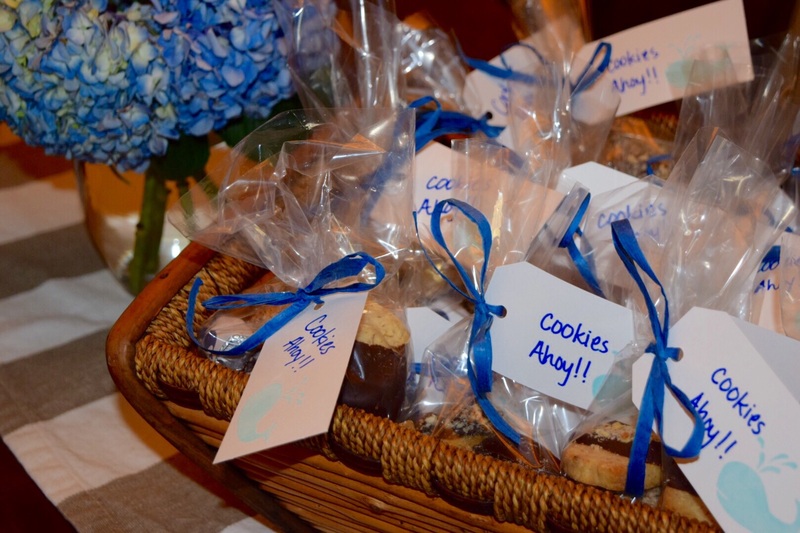 The menu for the shower was simple and light for this hot ‘summer’ March day! 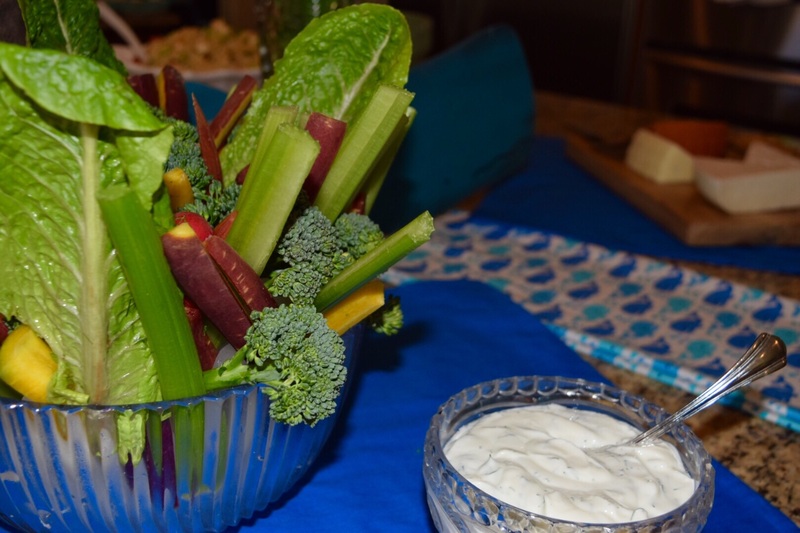 There was a crudité plate along with a cheese platter for the guests to munch on when they arrived. 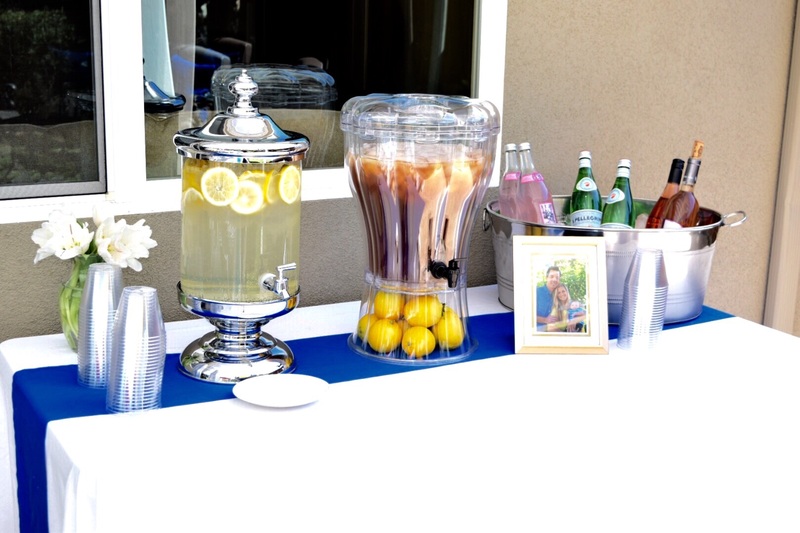 We had a drink station set up – Rosé (of course! ), homemade ice tea, lemon water, pink lemonade and Pellegrino. 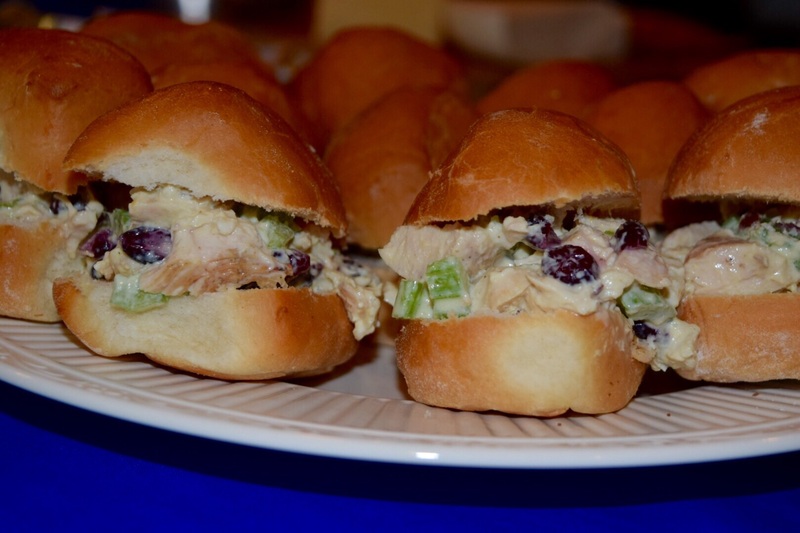 For the main entrees, homemade ‘Napa’ Chicken Sandwiches, Orzo Pasta Salad and a Mixed Green Strawberry, Avocado Salad. Dessert?? 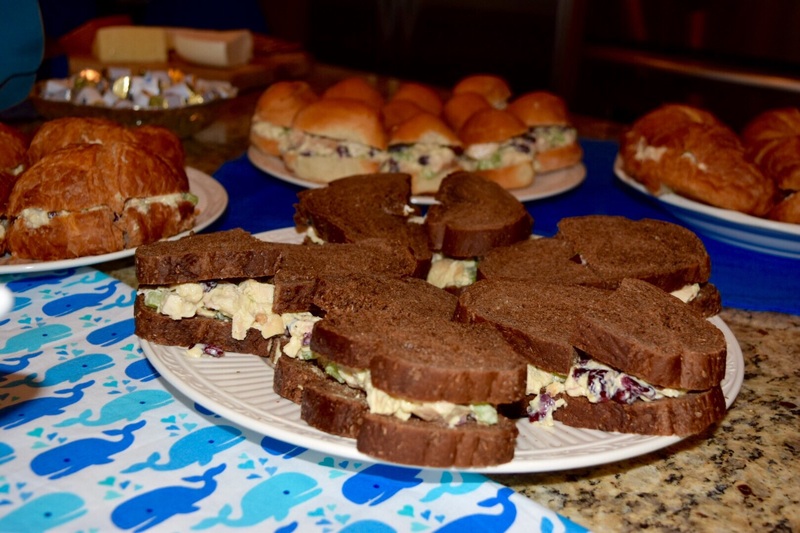 Of course our mom’s famous carrot cake was served along with lemon bars and custom Hayes chocolates. I don’t think anyone went home starving! Seconds please??? 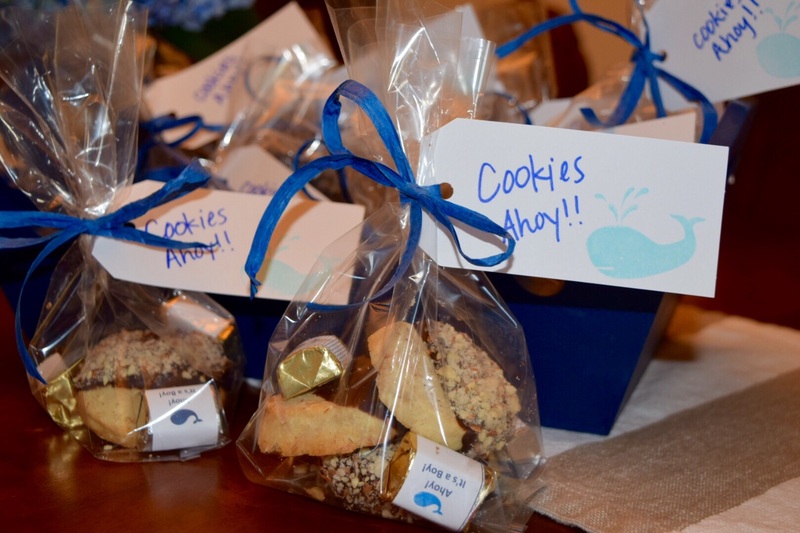 Leaving a party empty handed is not really fun, so we made sure to send our guests home with ‘Cookies Ahoy’! 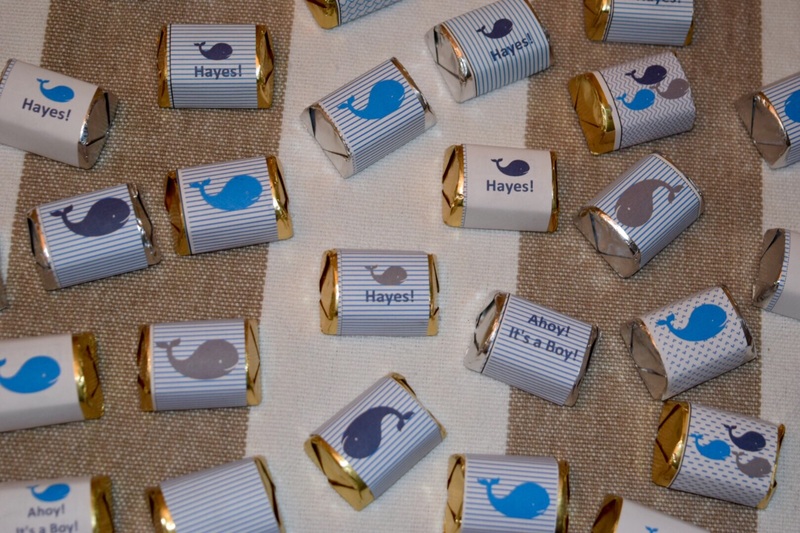 We made chocolate dipped shortbread cookies, put them in a bag along with the custom Hayes chocolates and tied a tag on them. 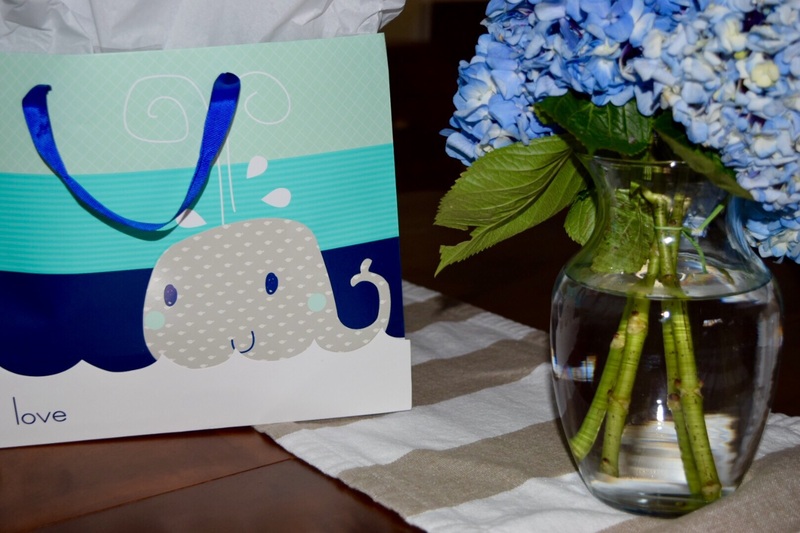 Simple, cute and oh so good! 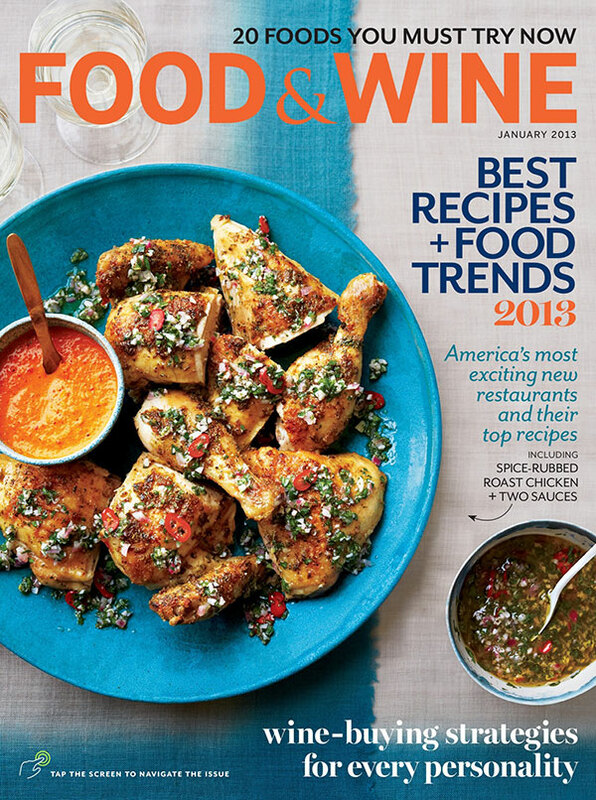 Be sure to tune into our blog in a couple weeks where we will be sharing our ‘Napa’ Chicken recipe! 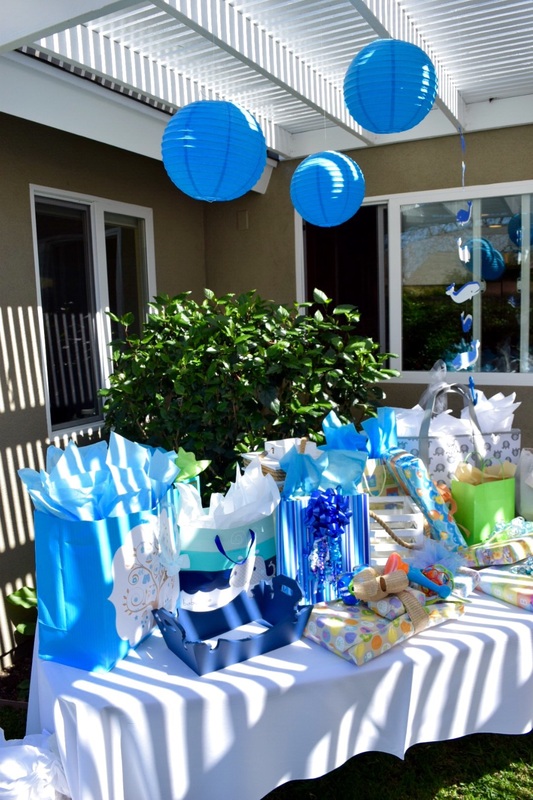 It was the perfect day to celebrate one special baby boy! Congratulations to everyone! 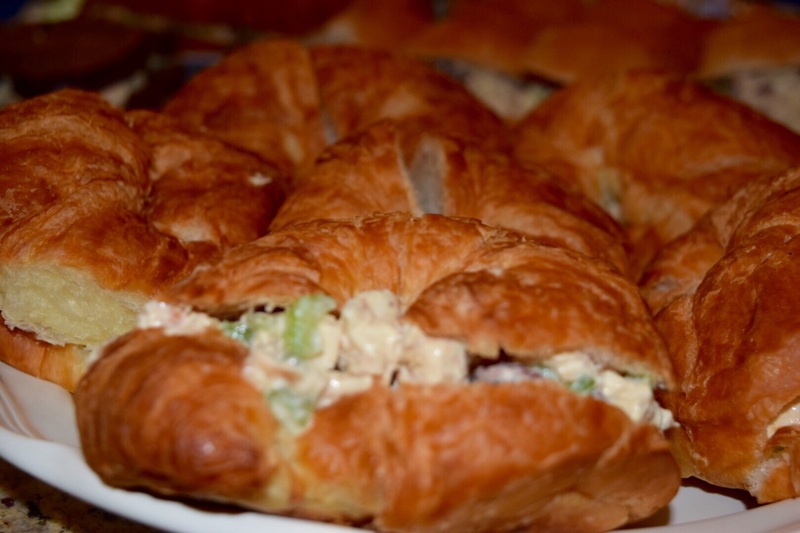 You did a fabulous job with your theme, decorating and food. 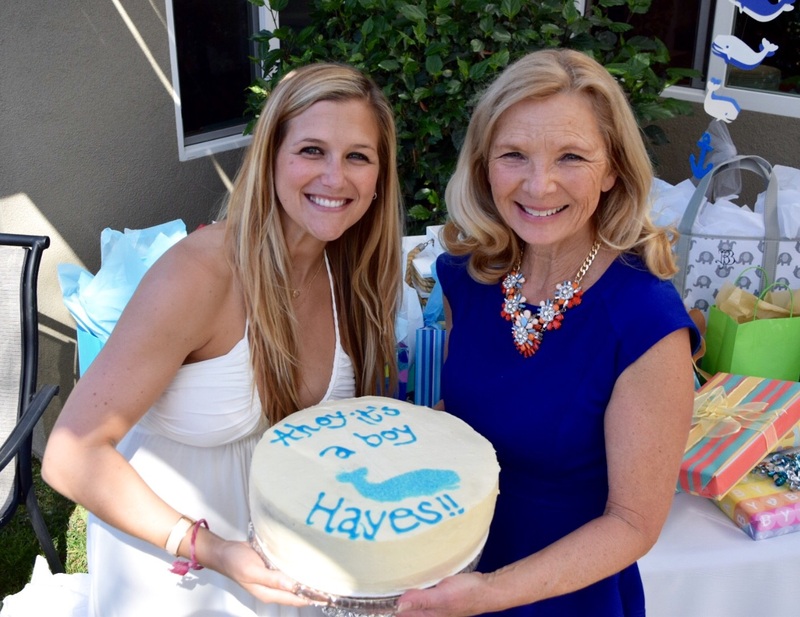 I’m sure Hayes’ mom felt honored! Thank you! It was such a fun day and celebration!! !